One hiring professional we spoke with calls veterans “Leaders in a box,” remarking, “They fit just about everywhere. Most are college-educated, many served under strenuous circumstances, saw combat action, and can use resources well.” What could be better than that? Are well-versed in small unit leadership at an early stage of their career, giving them more experience and maturity than their civilian counterparts of the same age. Some have experienced combat. How much more stressful can your business be? In addition, a high proportion of veterans have the security clearances necessary for certain civilian jobs. Active-duty military personnel are a diverse group, with 20% African-American, 9% Hispanic, and 15% women. In addition, if you are a federal contractor or subcontractor, the Office of Federal Contract Compliance Programs (OFCCP) requires you to take affirmative action to recruit, hire, promote, and retain veterans that fall into certain groups. Employers looking to hire veterans as their go-to source for filling positions will find that they are already well ahead of the game. In today’s business climate, time is money. 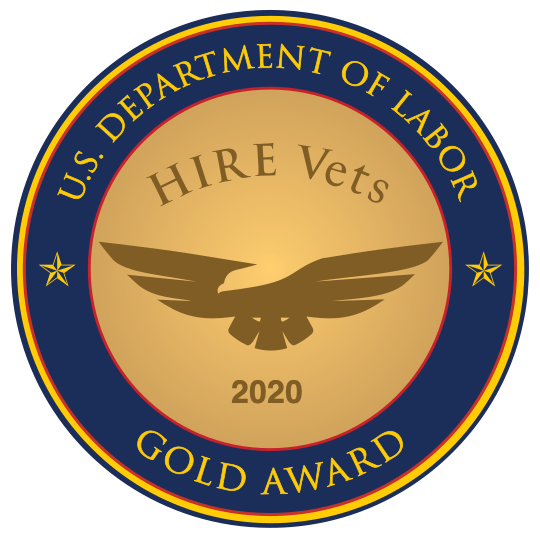 When it’s important to find top talent quickly, as well as attract and retain the right people, employers will save time and money if they set out to hire veterans at the get-go. Why? Those intangible qualities mentioned above result in a shorter learning curve, even if a veteran is placed in a new role. Furthermore, working with a veteran recruiting firm such as RecruitMilitary can make the selection process go even faster, with access to a large pool of veteran talent -- the sourcing equivalent of “one-stop shopping.” These firms provide access to veterans in a variety of ways, including veteran job fairs; veteran resume database searches; email and newsletter targeting; and search by on-site recruiters filling specific job orders. A great sentiment, but the real reason you should hire veterans is simply because they make great employees.